You are allowed to pay the premiums and collect the benefits on a life insurance policy that insures a life that is not your own! There are two things that you need to consider. 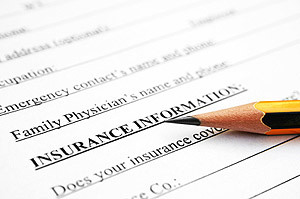 One, you are going to need to have the consent and participation of the person whose life is being insured. Two, you are going to need to provide a reason to the insurance company that you will be affected financially if the insured dies. The only exception to this is life insurance on children. Usually the parent of a minor can purchase life insurance on the child without any additional reasons. If you have nothing to lose from the death of the person, then you don’t really have an “insurable interest” and in such cases would only gain financially from the death of the insured. Just being a relative does not necessarily create an insurable interest. You will have to prove that you are somehow financially affected by the death of that particular relative. Can someone else buy life insurance on me and then collect the money if I die? As you can tell from my comments in the previous paragraph it is going to be very difficult for someone to buy life insurance on you without you knowing about it. First of all they are going to need your consent and participation. Most life insurance policies require medical tests on the insured and I think you’ll notice the person coming over to your house to take your blood and to strap the EKG on your chest. If a person purchases some kind of simplified issue or guaranteed issue policy without you knowing about it, then they are committing insurance fraud, which is a felony and would cause the policy to be voided. Also if the person can’t prove insurable interest the insurance company is not going to let them buy the policy. The company will let anybody willing to give them the money pay the premiums, but the company is going to need to know that the person who is named the beneficiary of the policy has the insurable interest. Now if you originally purchase a policy you can usually transfer the ownership of the policy or change the beneficiary to whoever you want, but you will have to prove that the initial beneficiary has insurable interest. Speak to a life insurance specialist at Solutions Financial to find out more on buying life insurance on someone else.